In the wake of INFINITY, Captain America and Iron Man plan for the next version of the Avengers. But they soon discover that a runaway planet is on a collision course with Earth! Can a visitor from the future help save the day? Then: It worked for the X-Men. Would we be so crass as to do it again? Yes, yes we would! 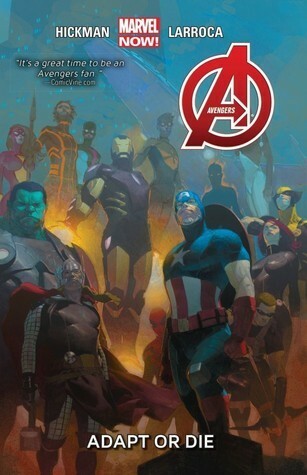 It's a blast from the past as Marvel introduces the All-New Avengers! But as the Science War overtakes the world(s), what is the secret behind this time-tossed team? When the answers are revealed, you'll wish they remained hidden! As Bruce Banner puts together the pieces and confronts Iron Man, the collision of the Avengers and the New Avengers is imminent!